A perfect bedtime book. Each province and territory put to sleep. 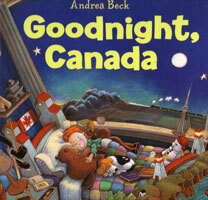 Whimsical illustrations representing all areas of Canada. Beck. 2012. hc. 30 pages.